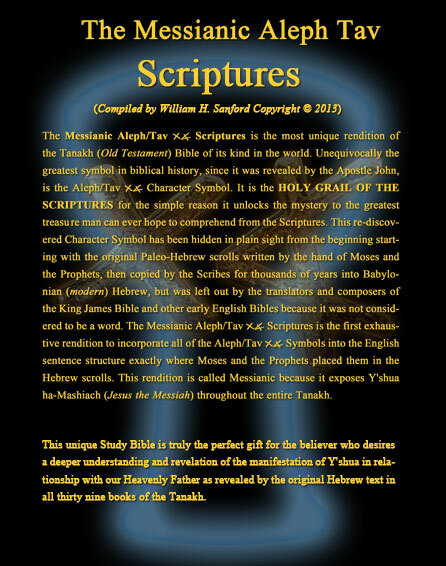 The Complete Messianic Aleph Tav Scriptures (C-MATS) is a study bible which focuses on the study of the Aleph/Tav Character Symbol used throughout the old testament (Tanakh) by both Moses and the Prophets and is the most exhaustive and unique rendition of its kind in the world. Over 5 years in the making, this English rendition reveals every place the Hebrew Aleph Tav symbol was used as a “free standing” character symbol believed to express the “strength of the covenant” in its original meaning. The Aleph/Tav was also believed to be the “mark” of the “divine hand” for thousands of years by such famous rabbis as Nahum of Gimzo, Akiva, and R. S. Hirsch as well as the Apostle John who claimed in the book of Revelation that the symbol also incorporated Y’shua haMashiach (Jesus the Messiah) because of His divinity. Also revealed in MATS is the use of the Aleph/Tav as it is incorporated into the creation of hundreds of Hebrew words used thousands of times, thus taking our understanding of the scriptures to a whole new level. 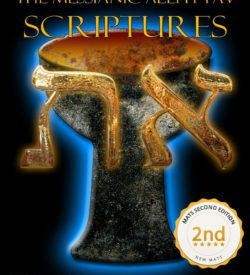 C-MATS comes in your choice of either Paleo or Modern Hebrew, Large Print 8.5×11 editions and include the New Testament. 1. 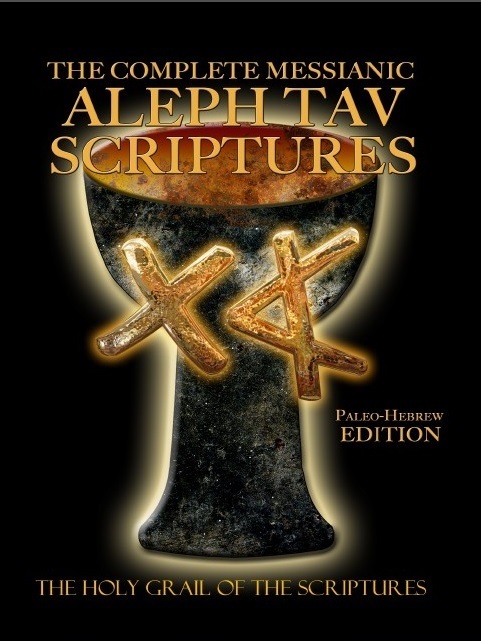 Over 5 years in production, each MATS Edition has over 700 pages with over 100 pages dedicated to Commentary called Aleph/Tav את ALERTS which briefly point out special placement of the Aleph/Tav את Symbols in each book with possible meaning. 2. MATS also has nearly 300 Messianic Prophecies fulfilled by Y’shua the Messiah in the Brit Chadashah (New Covenant) listed after each pertaining verse in the Tanakh (OT). 3. MATS list a total of 7,339 Aleph/Tav את Symbols and an additional 2,251 Vav/Aleph/Tav ואת Symbols used in the Tanakh (OT), which total 9,590. Also listed is the Aleph/Tav את Symbol in association with other important single Hebrew letters which give added meaning to verse content. Please see header titled BONUS LEVEL section in the 14 page INTRODUCTION for a further explanation of these words. 4. 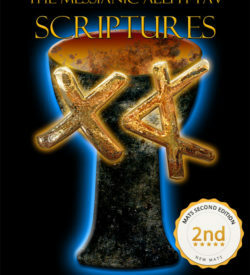 MATS is set up as a Study Bible for all 39 books of the Tanakh (OT) with the Torah (first 5 books) broken up into the Annual Torah Reading Cycle, listing both the Haftorahs and Brit Chadashah (New Covenant) readings at the end of each Parsha (teaching portion). 5. 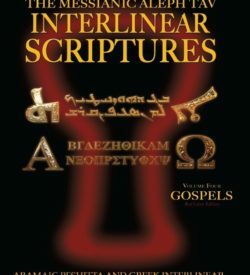 MATS has thousands of key descriptive words in italics which have been inserted in parenthesis to provide the reader a truer meaning of the original Hebrew text in English. 6. 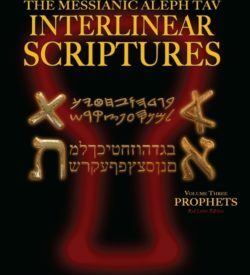 MATS is truly the perfect gift for the believer who desires a deeper understanding and revelation of the manifestation of Y’shua our Messiah in relationship with our Heavenly Father as revealed by the original Hebrew text. NOTE: Whether shipping domestically (USA) or over seas the shipping price does not increase until the order surpasses 3 MATS through USPS. To save in the shipping you can order by sets of 3 books.